The Dawn To Dusk backpack is not only super useful BUT super cool and stylish too, with its gorgeous buckle hardware, eyelets and metal feet. Features include a zippered front flap pocket with 5 pen pockets and a little coin pocket. Two side pockets close with a magnetic snap. The roomy main compartment consists of a large elasticized slip pocket for books or a small laptop. PLUS, the interior also boasts a zipper pocket of its own! Adjustable straps and a hanging loop complete the ensemble. NOTE: The pattern now comes with a free bonus tutorial on how to enlarge the pattern to fit US letter size folders and binders. The pdf pattern for the Dawn To Dusk backpack has 63 pages of instructions which include 145 step by step colour photos. There are printing instructions and a ruler to check scale. 20 Pattern pieces are included as are measurements for both Metric and Imperial! PLUS a TEXT ONLY version of the instructions (13 pages) comes bundled with your pattern for printing purposes, should you not need or wish to print all of the photos! Simply refer to your electronic versions for photos if needed! Saves on ink! *Sew-in interfacing: Mid-weight – 50cm (½ yard) of 112cm (44”) wide interfacing. I used Pre-washed Shape-Well (Use fusible if you prefer, such as Shape-Flex SF101). *Fusible interfacing: Mid-weight – 25cm (10”) of 112cm (44”) wide interfacing. 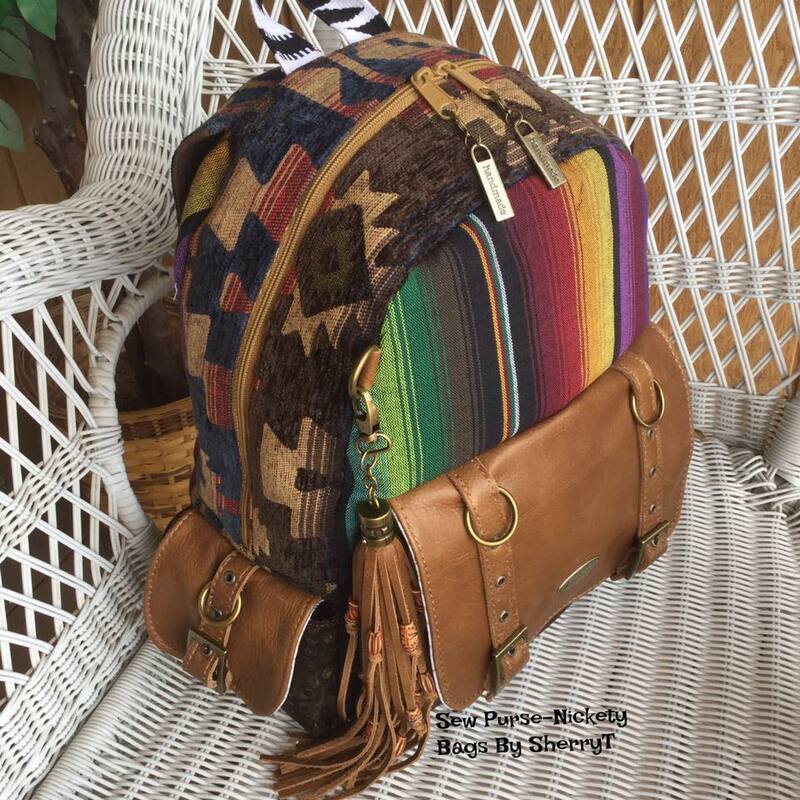 Wonderful pattern…easier than it might look and a great day pack…holds heaps. I made this as a beginner a few years ago and still use it often. I omitted the buckles and flap etc to simplify and it still looks great and receives many compliments. For the side pockets I made them a bit taller with elastic so they hold water bottles. I used a tropical print woven polyester for the outer, poplin lining and and a moulded plastic jacket zip…all for economy and ease of cleaning. Wish I could show a photo, it’s a great bag. As with all Chris’ patterns, excellent instructions and photos. Highly recommend!